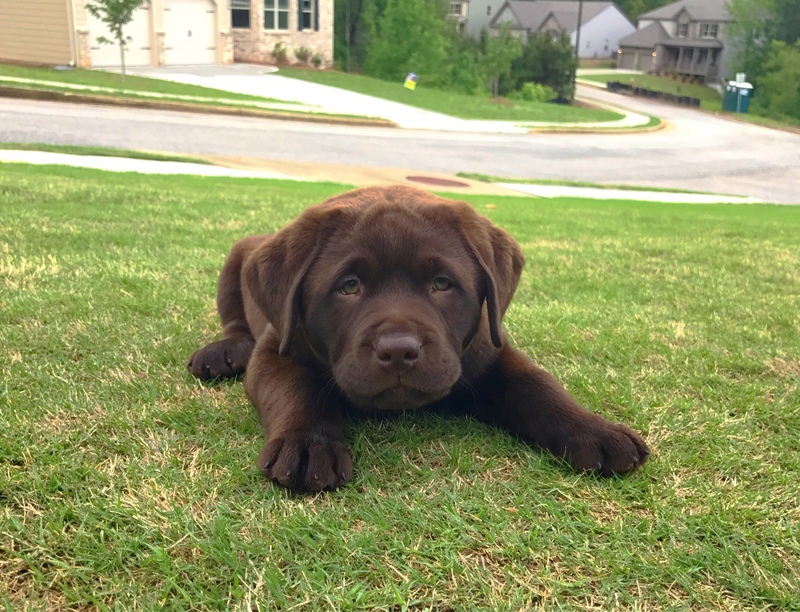 Hey folks - This is our first Lab (chocolate) and was curious on fur/coat color change during growth from puppy to adult. See 1st pic. We brought home Briggs at 9 weeks. Really deep rich chocolate fur. See 2nd pic of his head. He is now around 15 weeks. His color is starting to lighten in color quite a bit. Some areas more than others. He does spend a lot of time during the day exercising and playing outside in the sun (live in GA so when it's not raining all day). Is the combo of sun exposure and growth changing his fur/coat color or should I be worried about something? Not that familiar with chocolates, have not been blessed with one. I believe that the sun can have some effect. Also, during shed the fur can appear lighter until the undercoat is shed. Even with blacks, when ready to shed, Potion and Bandit would get a mahogany hue which was the undercoat loosening up, ready to shed. nope, not for chili...but wonder if camera playing tricks. He's either sunbleaching and/ or about to shed. This is very common with chocs. Yup. and certainly nothing to be worried about. x100. Rocky gets this yearly, more some years than others. Early in the summer generally that's the color of the dead undercoat coming out, and in the summer he gets sun bleached and is much lighter in color (reddish). 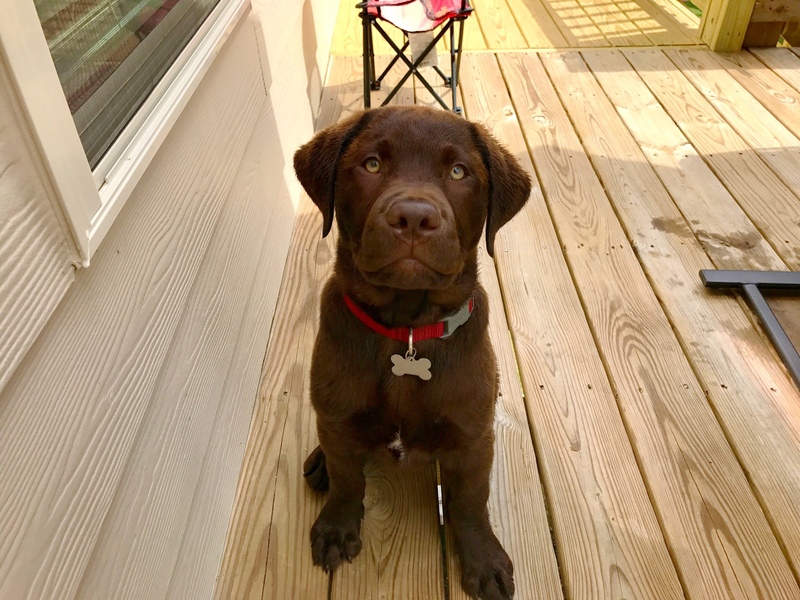 Since he's only 15 weeks old and that one photo is the top of his head, I would have guessed bleaching from the sun but windycanyon and JenC are owners and breeders of chocolates, so they're more familiar with it than I. 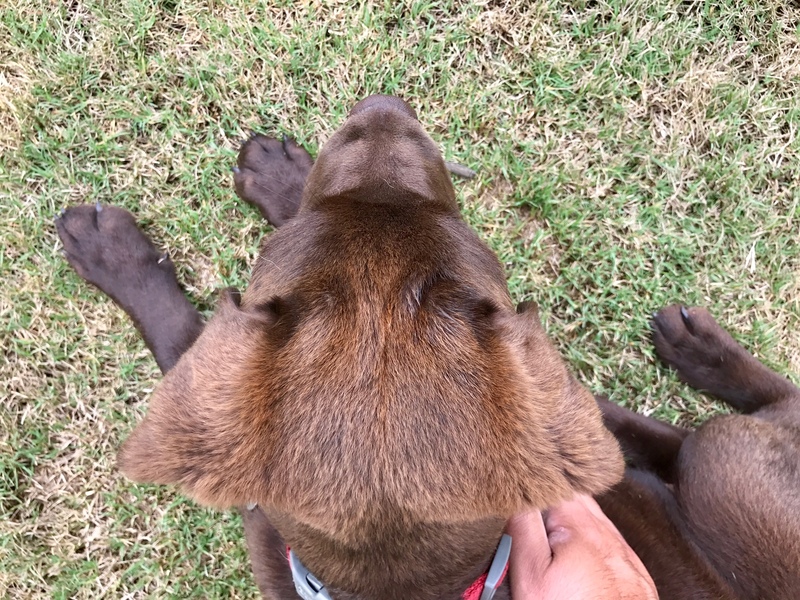 Even my black labs start to look mahogany when shedding time rolls around, I just don't notice it on the tops of their heads. I wish I could bring up a few pics of my puppies w/ the "head band". I've had some be quite persistent. Pippin has a little bit of lighter hair still (18 wks) on her ears and over her back skull but not bad. She shed most of her puppy coat 3-4 wks ago.